MainAll NewsInside IsraelWill Peace Now's Yariv Oppenheimer be in the next Knesset? 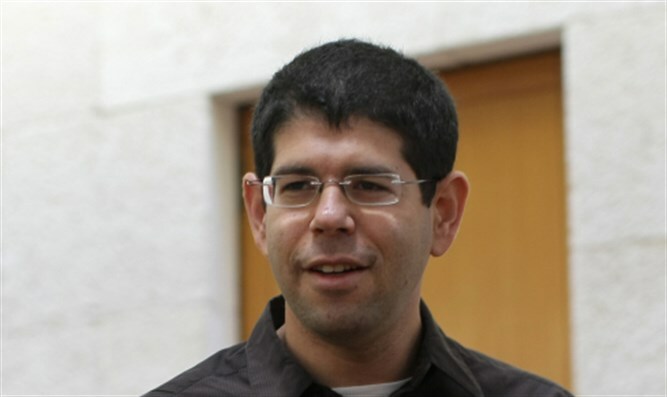 Will Peace Now's Yariv Oppenheimer be in the next Knesset? Former Peace Now chief running for spot on far-left Meretz party's Knesset list. Former director of the Peace Now movement, Yariv Oppenheimer, will be running for a place on the Meretz list for the 21st Knesset. Oppenheimer is calling on his supporters to back his bid for a place on the Meretz party list in the party's primaries on February 14, 2018. “In the next Knesset there must be a strong representative for the Peace camp,” Oppenheimer explained his decision to run for the Knesset. “Imagine the next Knesset for a moment, Yesh Atid - not left, Gantz/Yaalon – not left, Gabbay – not left, Kahlon - not left, Orly Levy – not left. “They will not fight against the occupation, they will not fight settlers’ representatives, they will not defend human rights organization, they will not stand up against the Smotrichim [referring to Jewish Home MK Bezalel Smotrich] and Hotovelys [Likud Dep. Foreign Minister Tzipi Hotovely]. The Knesset is the most important arena in Israeli politics and I will not be abandoned. That is why I want to be there, to make a sharp and clear voice, to fight and win. “To deal with the Right on the committees, in the plenum, in the media. To help the Left regain the trust and heart of the public,” Oppenheimer said.